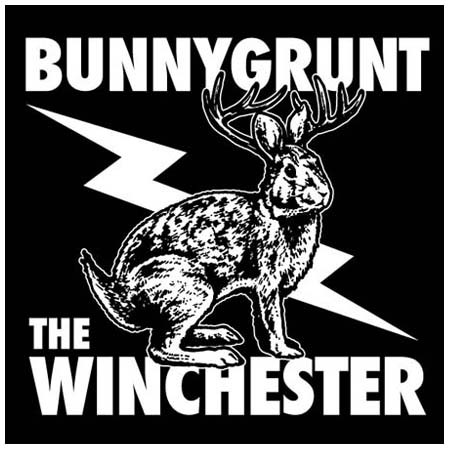 Bunnygrunt - "Led It Out"
The Winchester - "30 Seconds To Bars"
The Winchester - "Minus One Plus"
Hopefully this hot new record will be available in time for National Record Store Day (04/21/2012). After many delays, this one was finally released on 06 October MMXII at the Schlafly Taproom and again later at Lemmons. This record is not only a split between bands, but between labels, as it is a co-release with Throwing Things Records, a hot new label from Daren of The Winchester/The Haddonfields, and Nicole "Cuando Greg" Madden herself! Order it using the button below for just $6.50 postage-paid.